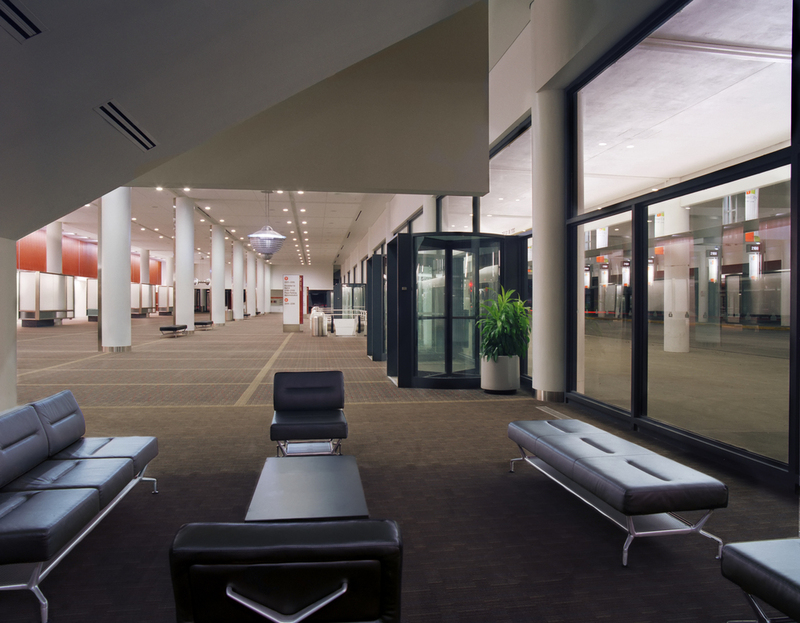 Some 135,000 square feet of the H. Roe Bartle Hall Convention Center in Kansas City underwent extensive renovation. Existing meeting rooms, lobby spaces, boardrooms, and corridors were updated with new finishes and current technologies. 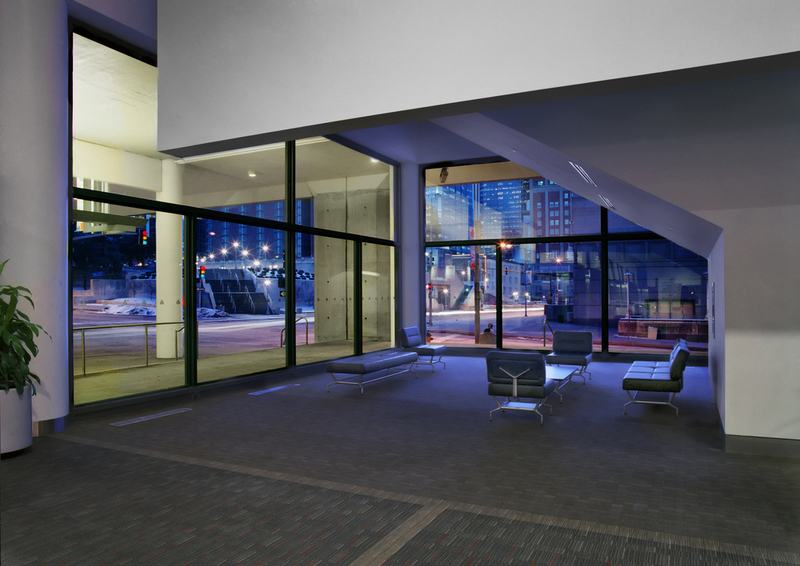 Lighting renovations included a more integrated lighting layout, custom luminaires and DALI control system. The new controls having individual fixture addresses offer maximum versatility for differing room configurations and programmatic uses. A baseline set of preset scenes were predetermined and programmed to accommodate primary room use. These scenes are easily accessed through an analog keypad. Customization is conducted locally through laptop interface and a service available to the client pending room use. The lighting and interior designs were developed collaboratively in support of an asymmetric design interest, aesthetic integration and coordination of all building systems. 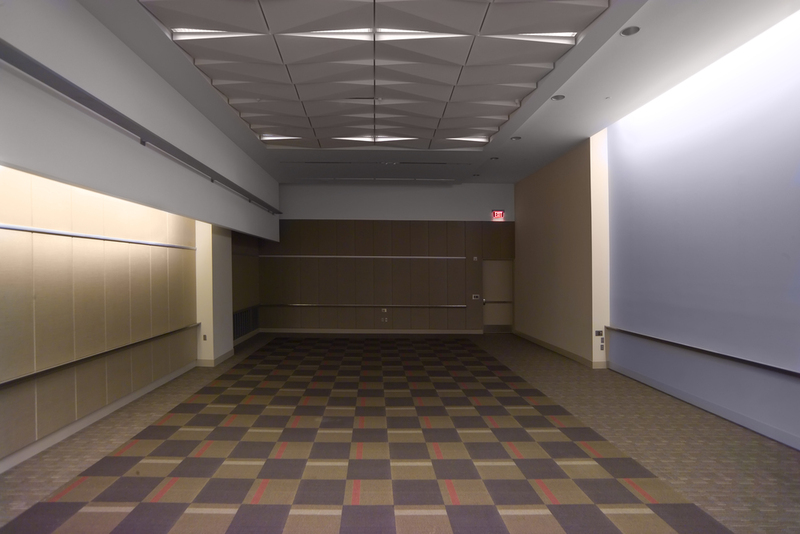 As example, the meeting rooms locate all systems (lighting, sprinkler, air supply and rigging) in a common linear trough that maintains a clean field for the open expanse of the ceiling. 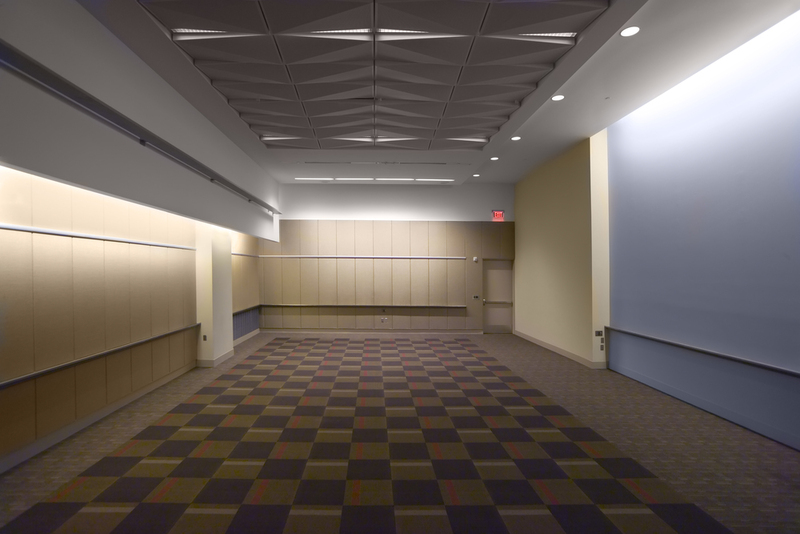 The lighting fixture layout and designed illuminance placed primary focus on key vertical surfaces to support display use in meeting rooms and passive wayfinding in public gathering and circulation spaces. Lighting coves are frequently located behind folded ceiling planes and suspended fins to further reinforce depth and stacking of interior layers. Banks of meeting room cores are vertically illuminated to give visual priority in a like manner to these primary destination areas, offering first order orientation to users otherwise unfamiliar with the facility layout. Composition, scale, order and pattern were design considerations deeply scrutinized for all spaces.